It's bad on purpose, whereas the other channels make movies for their audience, who happen to have bad taste. Last year, Netflix joined the Corny Christmas Movie complex for the first time with A Christmas Prince, a nonsense rom-com about a journalist who falls for the Prince of Aldovia, on whom she's supposed to be reporting. The movie got popular because, what a novelty! Netflix making something bad on purpose! So they made a sequel, A Christmas Prince: The Royal Wedding. This movie is frustrating and lifeless, more so than its Hallmark and Lifetime competitors because it's bad on purpose, whereas the other channels make movies for their audience, who happen to have bad taste. There's a difference! 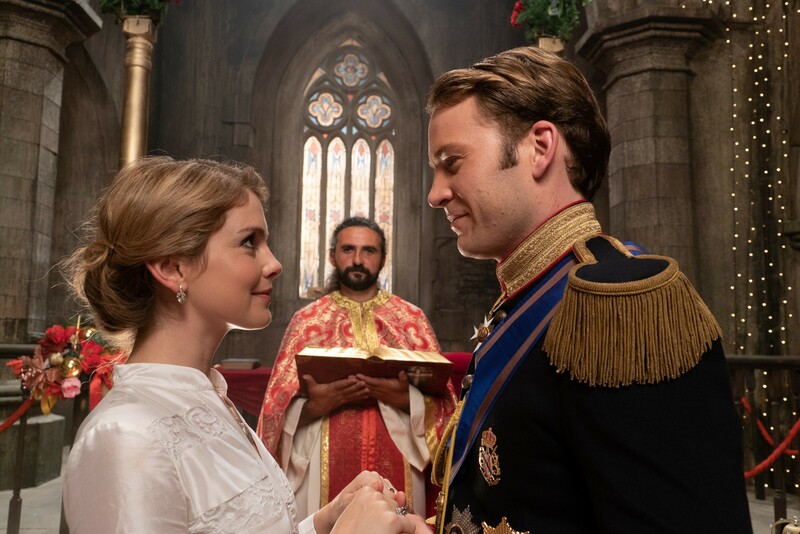 Amber (Rose McIver) is headed to Aldovia (fake European country with British accents) to marry King Richard (Ben Lamb) on Christmas Eve and start her life as queen. She brings along her father, who owns a New York diner and talks like someone doing an impression of someone else doing an impression of a New Yorker. They're both out of place, because the royals have protocols and traditions that are fancy and old. Amber likes to blog and wear Chucks! But the royal team hired a demanding wedding planner and wants her to delete her blog! On top of it all, Richard is too busy to help her because his new modernization initiative isn't working, and the country is losing tons of money for unknown reasons. People are striking and losing their jobs! The movie is mostly very boring, but picks up toward the end when the plot twist involves financial crimes. This movie is outdated, but not for the reasons you'd expect. Having a blonde protagonist named Amber is very 2004, as is having a plain woman whose main personality trait is "wearing Chucks." 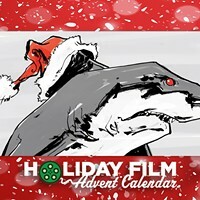 This movie isn't even bad in a fun way, because the novelty is gone. The joy of watching these cheesy, paper-thin movies, is that you barely get invested in the characters before they evaporate from your brain forever. It's cheerful white noise. But with a sequel, the characters have already been seen and done, and are certainly not interesting enough to bring back again. A Christmas Prince: The Royal Wedding is available on Netflix.